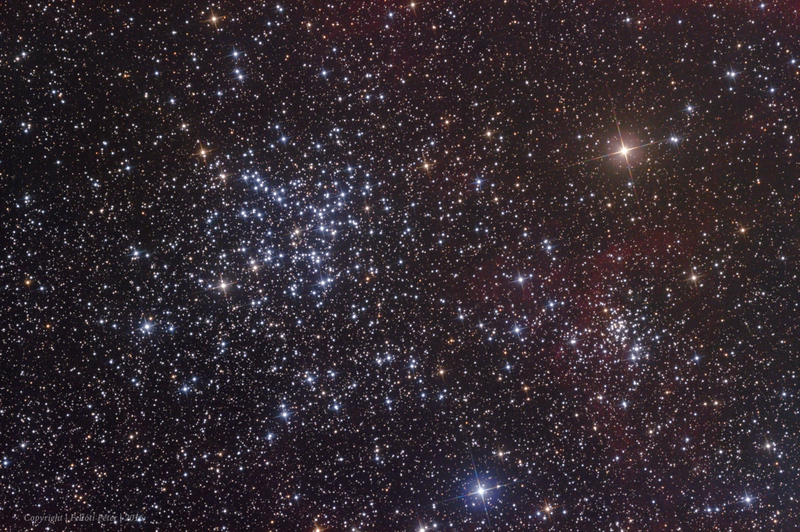 Messier 38 and NGC1907 in the constellation Auriga. 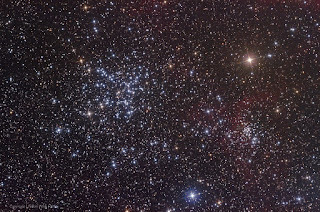 The pair of these two open clusters are about 4200 light years away from planet Earth. Faint reddish glow made of hidrogen surrounds the jewels of stars hundreds of light years across the sky.